Verse Innovation Pvt. 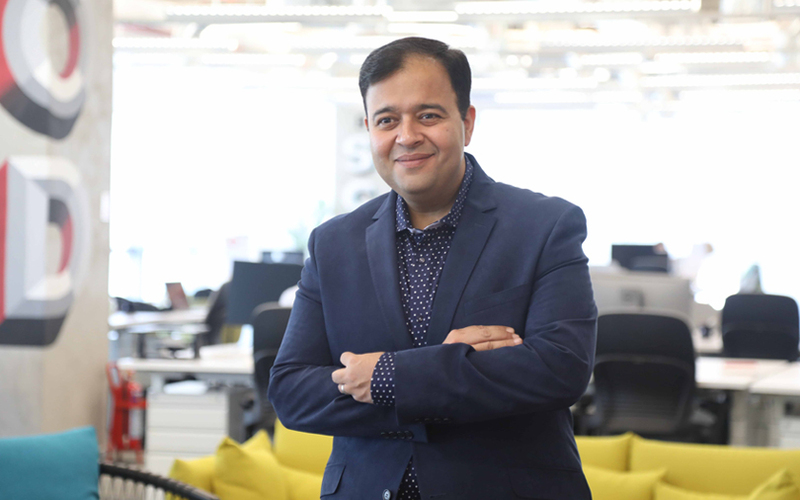 Ltd, which runs vernacular news aggregator and entertainment app Dailyhunt, has appointed former Facebook India head Umang Bedi as president. Dailyhunt, which was formerly known as Newshunt, relies on a proprietary algorithm powered by deep and machine learning to deliver personalised curated content. It claims to have 80 million users who spend over 6 billion minutes on Dailyhunt each month. The platform offers news articles licensed from thousands of content partners and contributors in 14 languages. It provides original video content in Hindi and Telugu and free live television streaming service with more than 130 channels across nine languages through strategic partnerships with Vuclip and YuppTV as well as firms in the over-the-top (OTT) video content space. Dailyhunt's latest offering is Newzly, a news excerpt mobile application that provides users customised trending headlines in nine languages. "Dailyhunt aims to consolidate its leadership position in local language content and advertising and scale up. Umang’s background in social media content and experience leading scaled teams generating hundreds of millions of dollars in revenues is a great fit with our plans,” Virendra Gupta, founder of Dailyhunt, said in a statement. “The aim is to serve the unmet, under-served needs of Indians who live in tier 2, 3 and 4 cities and rural areas and provide them with personalised, relevant and meaningful experiences,” Bedi said. Late last year, Bedi resigned as India managing director of US-based social media behemoth Facebook. According to an April 2007 study by KPMG and Google, regional language users will account for 75% of India’s internet user base. Around 90% of the new internet users in the country will be Indian language users growing by 230% to 536 million users in 2021. Dailyhunt's investors include Matrix Partners India, Sequoia, Omidyar Network, Falcon Edge and Bytedance. Dailyhunt had raised Rs 168 crore ($25 million) in Series D funding from Chinese content provider ByteDance in October 2016. Arun Sarin, former CEO of Vodafone, and existing investors—Matrix Partners, Sequoia Capital India, Omidyar Network, Falcon Edge and Franklin Templeton PE—also participated in the round. It had raised Rs 250 crore ($36 million) in Series C funding in February 2015, led by New York-based hedge fund Falcon Edge Capital. In September 2014, it raised Rs 110 crore in Series B funding from Sequoia Capital, Omidyar Network and Matrix India Partners.